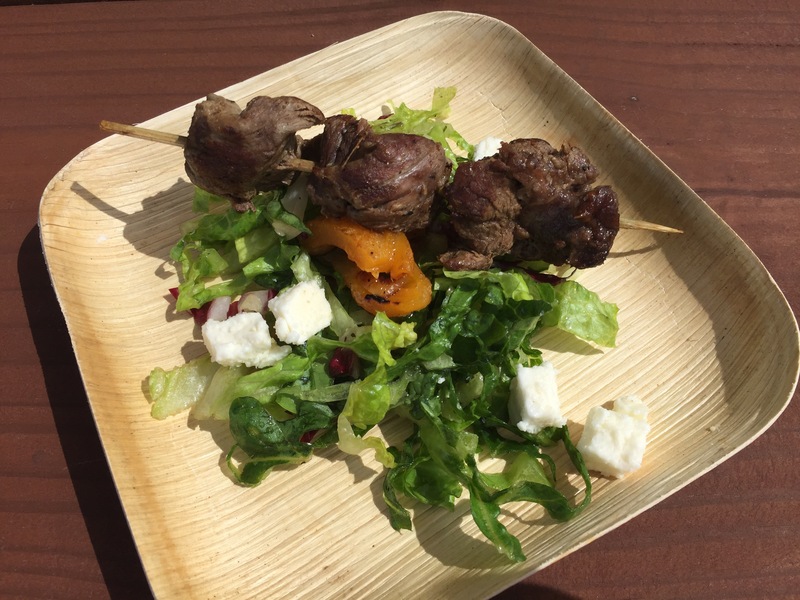 Food & Wine ’16 “Flash Report”: Grilled Beef Skewer – The CHEW | It's "All in WDW"
Looks great, doesn’t it, folks? Well, the beef that I could chew (lots of fat and gristle) was overdone. The “salad” – well, mainly the feta – tasted nice. I’m sorry, Chew, but two years now, I just don’t get your offerings.